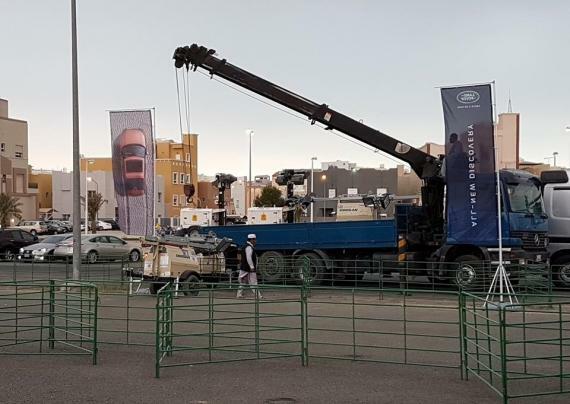 Kuwait members, ATLAS (Alghanim Freight) have assisted with a Range Rover Discovery Show. The event was to launch the new model of the Range Rover Discovery in Kuwait. 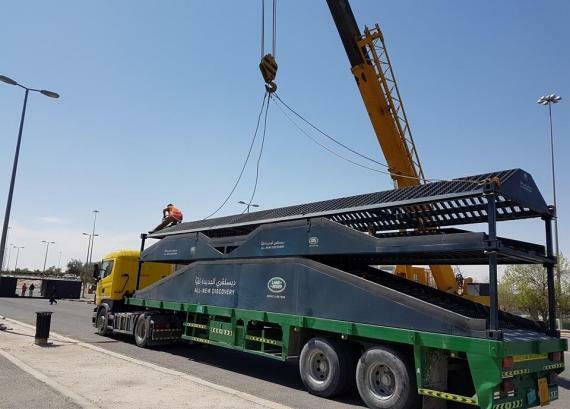 Their job scope was to move the event equipment by road from Dubai to Kuwait and back to Dubai in addition to providing onsite support of MHE and manpower in Kuwait for unloading, installation and preparation of the show. 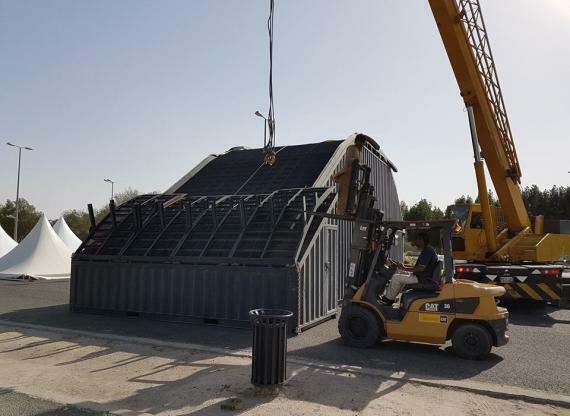 See the gallery below for photos of the operations. 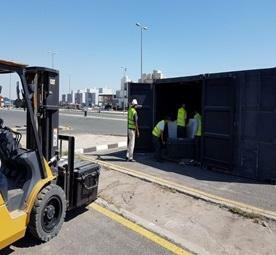 The site of the event was the parking lot of the 360 Mall, one of the biggest shopping malls in Kuwait, and as it was a 'live site', ATLAS had to take extra special precautions while moving trucks and equipment. 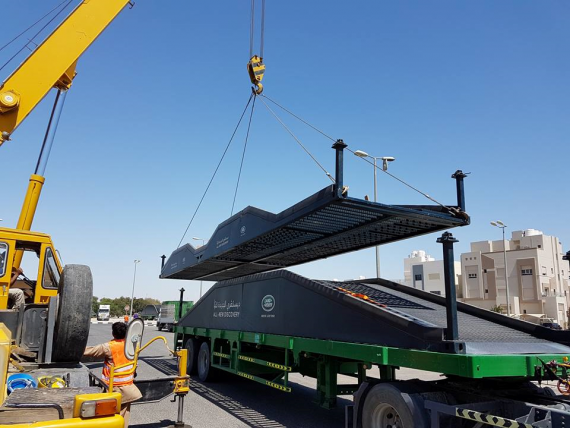 Adil Mehmood (Operations In-Charge at ATLAS) concludes; "This event project logistics was a time critical operation to meet the timeline of event without compromising the client's marketing and media arrangements. 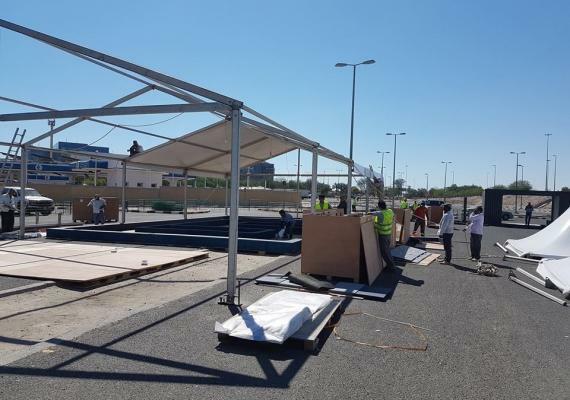 ATLAS successfully completed the job to start the event on time by providing our best services under the supervision of our specialised team."